I had the "Horten Ho 229" in mind when I was trying to make a flying wing without vertical stabilisators. Then I have decided to make an up to date version of what could have been the "Horten Ho 229" nowadays, including stealth needs. That's why for exemple intakes are on the top, like the "Northrop B-2 Spirit". 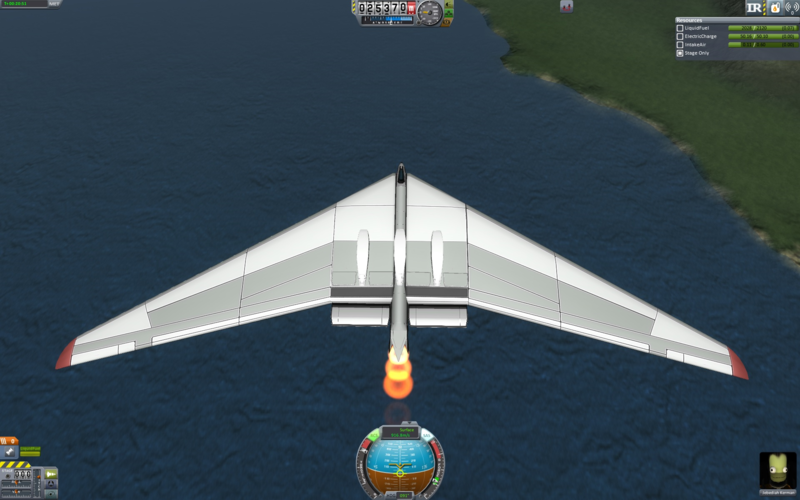 The yaw control was very difficult without a vertical stabilisator so, I used a "F119 Turbofan Engine" with a 90° rotation. The plane is very stable, and can fly at a very low speed ( < 20 m/s ) and is a very good glider.